Is it really that VITALE? One of the key questions when moving or living in France is your health care rights. The French healthcare system is actually quite simple and it has a very good reputation however it’s true that when new to France, it can all seem a little bit too much! I have put this as the first question as most people think that having a carte vitale gives them access to health care in France. This is not true. And yet, everyone wants one! The carte vitale is really just the card that facilitates your reimbursements and avoids you having to pay upfront for your health care. 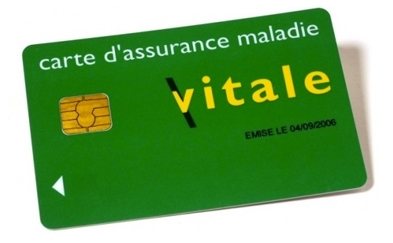 Before you can have a carte vitale, you need to be ‘in’ the French health care system and your health care rights need to be activated. These are two separate processes and the first priority is to ensure that you are in the French health care system. Once your rights have been opened, you can then ask for a carte vitale. What are my options for accessing health care in France? 4. Early Retiree or inactive: make a request via the PUMA once you can prove 3 months of continual residence in France. If you are looking for more advice on your particular situation or an overview on accessing the health care system then take a look at my mini e-book here or contact us at LBS to book a consultation. If you applying via the PUMA (point 4 above), each adult person will need to apply in their own right. If you are applying as a retiree and have a dependant spouse, they would need to apply via the PUMA if they have no pension income, yet. If you are applying as a salaried person or business owner (points 1 & 2 above) and you have a partner that you would like to add, you need to contact your healthcare provider and ask to attached your spouse to your healthcare rights. This only works if your partner is dependent upon you financially as they have no job or business. They will receive their own social security number but will have their rights opened because of your contributions into the social system. Each of these people have one thing in common, they have paid or are paying their ‘cotisations sociales’. These are the equivalent of your national insurance contributions ie they are paying into or have paid into the French Health care system. Like most healthcare systems, if you don’t pay in you cannot qualify to obtain healthcare. I’m not saying that if you have no money you can’t get health care, but I am saying that you have to justify this when making your application. How does the French care system actually work? So basically, you need to be registered with a local GP. You do this by getting your doctor to sign the ‘Declaration de Medecin traitant’. This is one of the documents that you will be asked to hand in to access your health care. You then go to see the doctor, pay the appropriate fee (if you don’t have the carte vitale) and you will be reimbursed directly into your account. The reimbursement is quite quick 5 – 10 business days. If you have a carte vitale you would give the doctor your carte vitale and this avoids the upfront payment. If you need to see a specialist your GP will write you a letter that you take to see the specialist of your choice. For some specialists you don’t need a letter eg gynecologist, dentist. I certainly hope this has helped answer a few of those niggling questions but if not, you can book a consult directly with Tracy Leonetti to look at your particular situation and healthcare solutions. LBS has also created a more detailed mini-guide that you can buy here.